Removing unwanted hair from the body has been a part of human hygiene since the beginning of history. Over centuries, this practice has been adopted by powerful people all over the world to denote status and power. 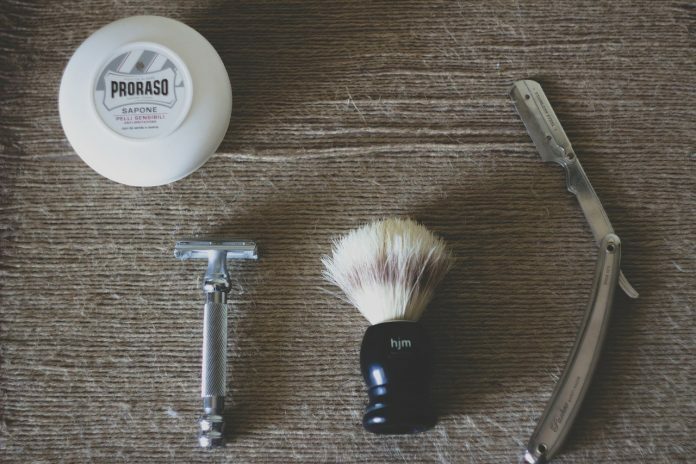 The tradition of shaving has not only evolved itself but also the tools of the trade required in the process. With our ancestors living in the winters of the second ice age, facial hair was indeed a liability. As once it’s wet, it was bound to hold water in it. This would soon become frozen due to the harsh climate back then and affected the skin. This was enough to get rid of the dangerous stubble. Studies show that early humans started removing hairs around 100,000 years back. This was mainly done with the help of seashells and tweezers as depicted on cave paintings. This technique had advanced to shaving in the next 60,000 years with the help of obsidian. In 4th century BC, Herodotus the Greek historian noted that the Egyptians believed extensively in cleanliness. They bathed several times and maintained a strict shaving regiment. With Egypt being in a location of extreme heat, people adopted the above-mentioned routine in order to maintain hygiene. Conqueror Alexander the Great, orders his men to remove their beard in the battle of Issus. The idea was not to allow the enemy to grab hold of them during melee combat. This was soon accepted by his people and came into fashion. Civilians started to imitate the soldiers who fought in the battle of Issus and adopted the act of shaving. Soon, the original design of the razor invented by the Egyptians was changed into a straightened form. This design is very close to the modern-day straight razor. It wasn’t before the late eighteenth century that razors became something more than just sharp objects used to remove hair. Till this time, people needed professional help in getting their beard removed. Jean-Jacques Perret, the French inventor dreamt of a world where men can shave themselves every morning. Soon, Perret went on to invent the first safety razor in the world. This design evolved again and in the nineteenth century, the straight razor was invented. In 1880, world’s first safety razor was patented and the marketed by the Kampfe brothers. This design was again modified by King Camp Gillette and sold under the Gillette brand name. This marks the beginning of modern disposable razors. To know more about the different types of razors and their uses, check out the infographic below. Next articleWhen should you visit a cosmetic dentist? Sean Mason is a seasoned author who writes about men's luxury products at OriginalShaveCompany. As a fanatic wet shaver himself, Sean is keen on providing objective information about men's products which includes but is not limited to wet shaving.